Nearly half of adults in the US and in Germany participate in a broad, informal “copy culture,” characterized by the copying, sharing, and downloading of music, movies, TV shows, and other digital media. Among young adults, the number is 70%. Most of this activity is casual and occasional. Much of it happens offline, in exchanges between friends. In most European countries, including Germany, much of it is legal. Copy culture is pervasive because it is the first practical iteration of a powerful idea: of culture as a universal library, abundant and shared. It is pervasive because copying media has become very easy—an extension of the basic operations of computers and networks. And it is pervasive because, for both of these reasons, it is very hard to control. We are living in a period of intense debate over the boundaries and policing of copy culture. 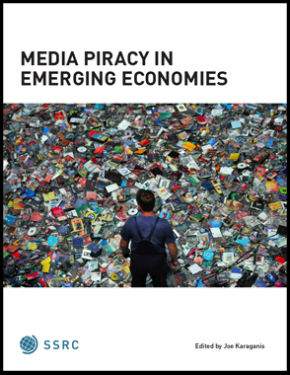 The past year has seen controversy after controversy on these issues, from the troubled implementation of “three-strikes” laws for infringement in France, to the rise of the Pirate Party in Germany, to the successful large-scale protests against the Stop Online Piracy Act (SOPA) in the US and the Anti-Counterfeiting Trade Agreement (ACTA) in Europe. Repeatedly, copyright enforcement proposals have been pulled into wider debates about culture, innovation, and human rights. This convergence is inevitable. As computers and networks become part of the fabric of human life, they become enablers of both rights and new forms of social control. They define and limit freedom of expression and information. They embed tradeoffs between services, security, and privacy. The more basic the functionality, the more important the rules that govern them. Because of this convergence, it takes little imagination to see larger stakes in proposals to restrict the copying of files or block access to websites. And so after years of relative obscurity, these debates have become—rightly—politicized. 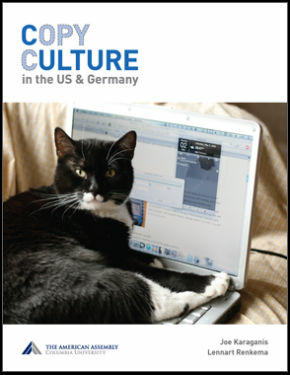 Copy Culture in the US and Germany is an effort to illuminate these issues through a survey of attitudes and practices regarding copying and downloading, enforcement, and business model innovation. The study is based on a random phone survey of 1000 Germans and 2,303 Americans, conducted in August and September 2011. Practices: What people say they have and do. Attitudes: What people say they should be able to do. Penalties: What people think are appropriate penalties for infringement. 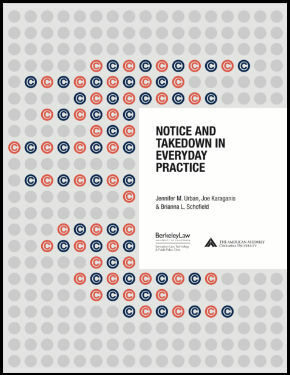 Blocking:Whether intermediaries like ISPs and search engines should block infringing content. Buying:What people will pay for, as businesses begin to implement their own approximations of a native digital culture: cheap, on-demand, universal, and shared. Why compare the US and Germany? Because the two countries play oversized roles in setting international IP policies, with the US driving the adoption of stronger IP rules and Germany at the center of an increasingly complex European debate about the tradeoffs of strong IP protection. Because the two countries have similar socioeconomic profiles but very different media and cultural markets. Because they approach the issue of enforcement differently, with the US debate dominated by opposing theories of innovation, while the German debate stresses a balance between law enforcement and privacy. Lastly, both countries are surprisingly understudied terrain—especially the US, where systematic surveying on these issues has been rare. Because technologies, cultural practices, and the policy landscape change very quickly, real-time accounts of these developments have a short shelf life. The pace of change alone presents serious challenges to research. Because surveys are expensive, there are few studies that reliably track these issues over time (Germany has one such study conducted by the market research firm, GfK. The US does not). Nor is there much comparison between countries. Our study illustrates the value—and limitations—of the comparative approach. Data that may be unremarkable in the US or German context comes to life when juxtaposed. We have also pulled in findings from other surveys when we believe they are helpful and reliable. Here we must add another caveat: the majority of these findings come from commercially-funded studies that do not release full results or data. This is a chronic weakness of research in this area. As we shall see, survey comparison is a rough art at best. 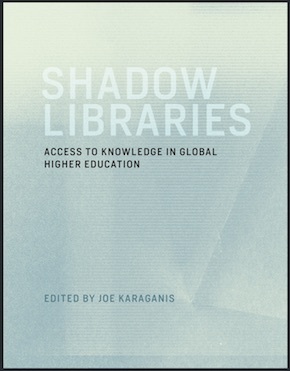 But it is also, we think, a necessary step in understanding our global copy culture and the crisis of copyright.